Iris has swooped again, securing the dusty Shaft Tavern in suburban Newcastle in a “unique opportunity” for the acquisitive pub-developers. The Shaft occupies a big 6,720sqm block adjacent to Elermore Vale Shopping Centre, set back and sunken from the road – giving rise to the mining-oriented moniker. It provides a large public bar, bistro and drive-through bottleshop. Gaming consists of a TAB and 26 outdated EGMs, 12 in a smoking solution, currently ranked #447 on the Liquor & Gaming list of NSW pubs. It also holds approval for the construction of 16 motel-style rooms on the site. The business reports FY18 average weekly income close to $100k. It was put to market in October by industry veterans Reg Mawhinney and Geoff Byrne, who have owned it for 15 years. HTL Property, in conjunction with Moore & Moore Real Estate, executed a high-profile EOI campaign on the “highly anticipated” sale, drawing the full complement of interested parties. Agents would not be drawn, but sources suggest the final sale price was around $12 million, making it likely the largest single transaction in the region’s history. The purchase furthers Iris’ major investment in the region, most recently counting the $30 million acquisition of the Rogers’ portfolio. Recognising the pub’s shortcomings, Iris plans to jump straight into a door-to-door refurbishment, likely to include construction of the already approved accommodation. “It’s in need of TLC,” notes Iris CEO Sam Arnaout. “This is, I would say, a unique opportunity to acquire something where we could apply the Iris touch, and take advantage of its strong location in an area that’s crying out for the kind of offering that we’ll bring to the table. Still considering the future of the name of the coal-bred ‘diamond in the rough’, Arnaout says the “jury is still out” on Shaft Tavern’s suitability. “With the repositioning, and integration of the motel above ground, one of our main focuses will be bringing street presence and appeal. In a continuation of the opportunity-driven big-ticket transactions on similar opportunities in Sydney, the under-capitalised Shaft was a prime target for deep pockets with aspirations. Co-agent and Newcastle region specialist Moore & Moore has been on the frontline of the mining town boom, with Arnaout bringing a good whack of the bang. 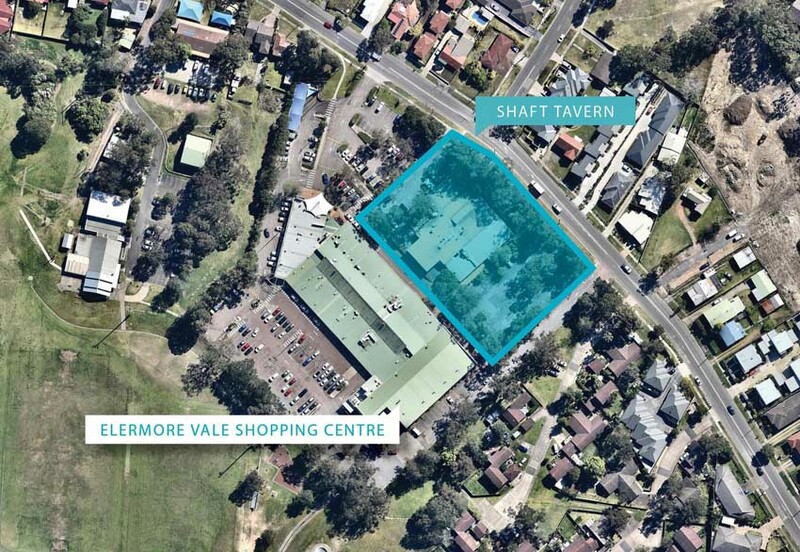 “Iris Capital is investing heavily in the Newcastle / Hunter Region, The Shaft Tavern being the fifth transaction in as many months, representing over 50-million in dollar value,” says Deane Moore.